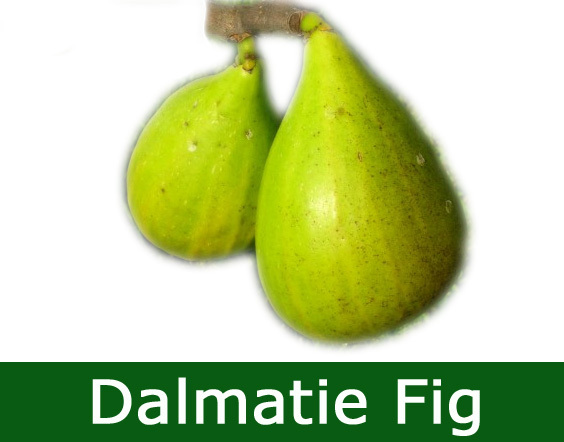 All our Dalmatie Fig Trees produce very large fruits that are good eating and are considered heavy cropping. Supposedly originating from the Dalmatian coast in Croatia, it is a small sized fig tree with great cold and wind resistance and fast hardening wood in the summer. Expect a height of 2.5 metres after 10 years and width of 2 metres. Depending on weather and local conditions you may get fruit within one growing season.